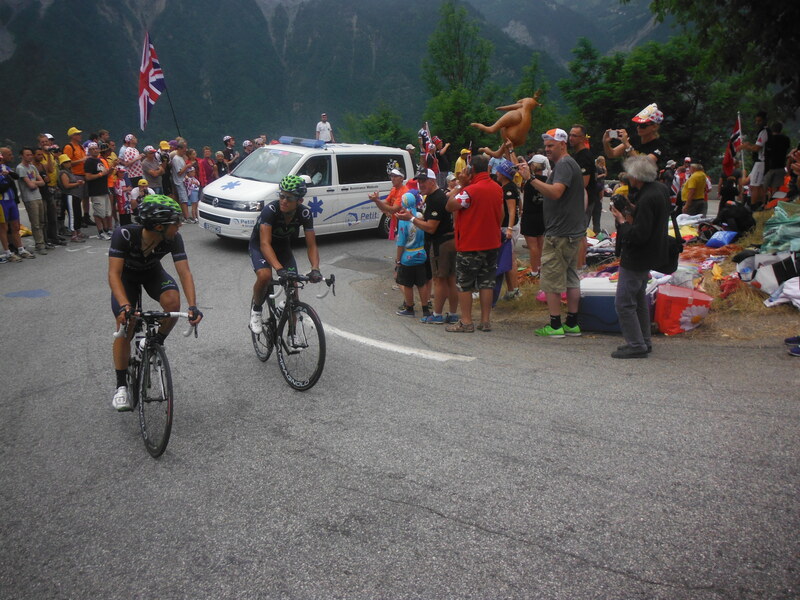 Bourg d’Oisans was spoilt this year by the Tour de France. Not only did it host the double climb of Alpe d’Huez, it was the “village départ” for the next day. My 21st birthday coincided with the Alpe d’Huez stage. I walked to bend 18 and watched the riders come past twice. It really is amazing how easy they make it look! Amador & Castroviejo from team Movistar were holding a fairly animated conversation as they came past with no apparent difficulty! 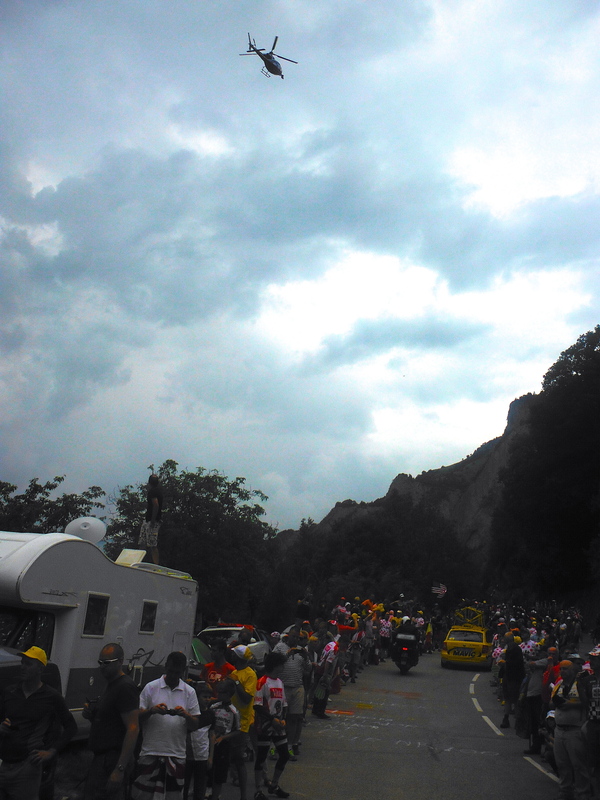 The départ on the 19th was great as we were able to see all the riders up close. Most were on the home trainers before the start in preparation for the fearsome route north towards Le Grand- Bornand. The route included 5 cols including the Glandon and the Madeleine.